Avriel Shull. That name is especially meaningful to design and architecture enthusiasts. This talented and influential woman completed over 80 projects in her lifetime, and all have very distinguishable features that clearly identify her designs. A Carmel High School graduate, followed by stints at both Butler University and Herron School of Art (neither of which she obtained a degree from), she instead opened a commercial art agency in Indianapolis in 1948. She was also hired by a local builder to trace blueprints and work with scale models, considering she was naturally drawn to architecture. In the process of studying other people’s drawings she soon taught herself to design homes, and by 1953, she opened “Avriel,” her own architecture and build firm. Her logo, which was her first name with a curvy letter "A" and an artist’s palette wrapped around it, suggested that her business encompassed her talents as not only an architect, but also an artist and designer. 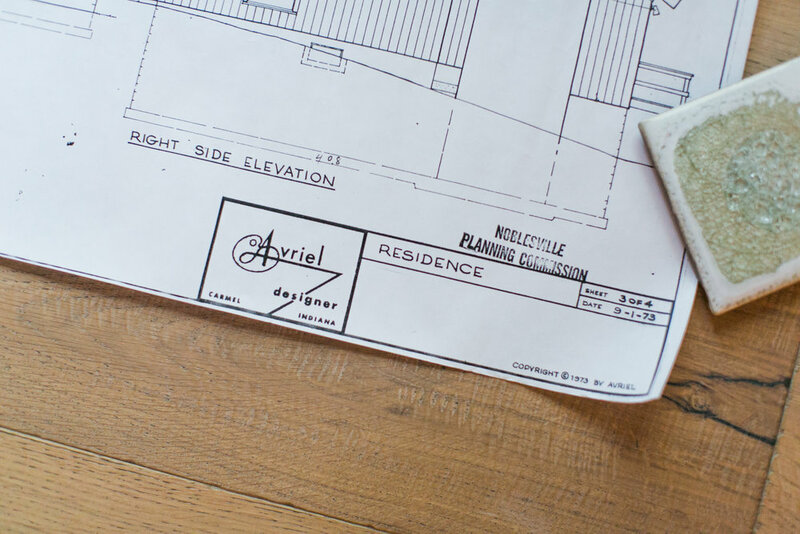 Despite being an unlicensed architect, it only meant that others had to sign-off on her blueprints; an easy obstacle to overcome considering her popularity. Using 11 acres of land in Carmel, Indiana that her father owned, Shull laid out streets and designed the infrastructure for a neighborhood, still popular today, called Christie’s Thornhurst. She designed 21 homes for this neighborhood, all featuring different but similar construction—the most common similarity being her signature sloping rooflines. She even designed and decorated many of the interiors as well. The success of this project led to high demand for her in the 60s and 70s. This lovely Avriel Shull home that I had the privilege of touring and photographing below, is just one example of her commissioned works of art. It was built in 1974 for the Blakely Family, owners of local flooring company Blakely's Flooring. 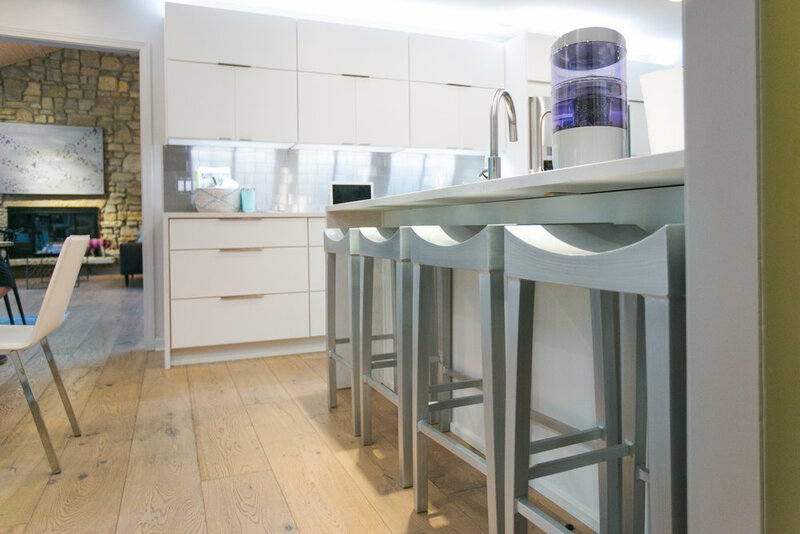 “The design is very much an ‘Avriel Home,’ but was built specific to the family’s needs. 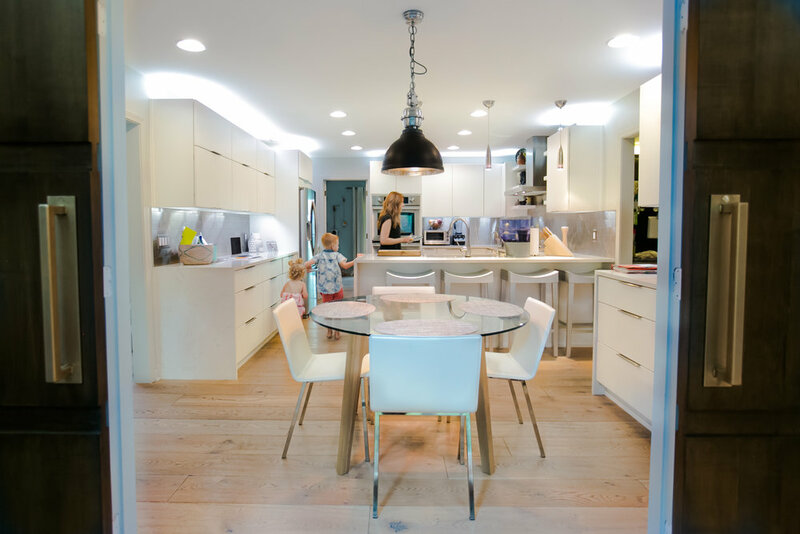 For example, they had young children when they were designing this home, so they did not want an open-tread staircase common in mid-century modern designs,” said current homeowner, Adam Crockett. While the home currently offers many lovely common characteristics of a mid-century modern home, such as the original stone fireplace wall and sloped ceilings, perhaps the most breathtaking and unique feature of this home happens to be the very first thing you see when you step inside the front door. 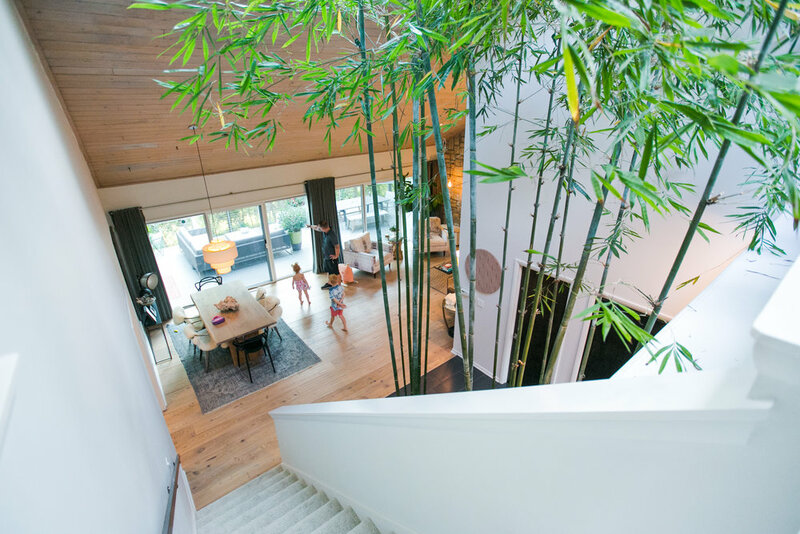 Shull designed an entryway terrarium with hovering skylights that now houses 17’ bamboo stalks! 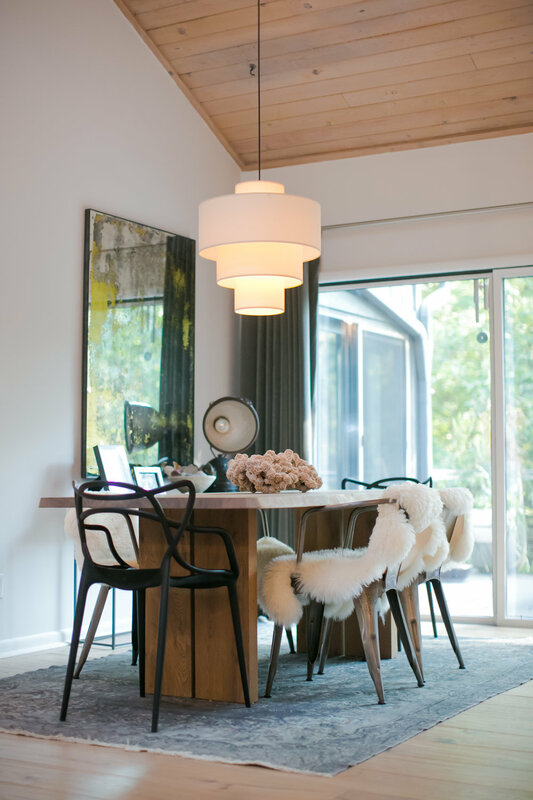 Tastefully designed to “bring the outdoors inside,” another common characteristic of mid-century modern design, this is a stunning piece of art. “The terrarium is actually over 12’ deep and has no bottom. It is a hole straight through the foundation of the home,” said Crockett. 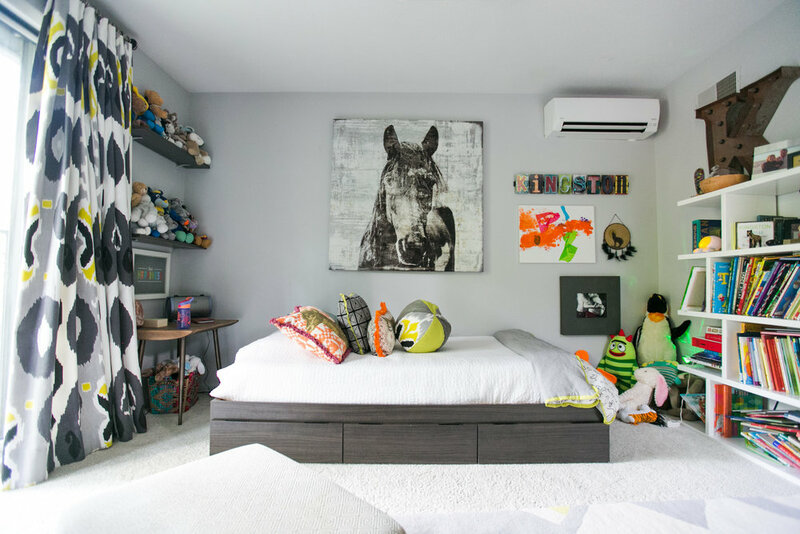 Being that the current owners greatly respect the 1974 Shull design, they updated nearly 95% of the home to meet modern-day needs, all while keeping true to the design-forward nature of Avriel Shull’s original approach. 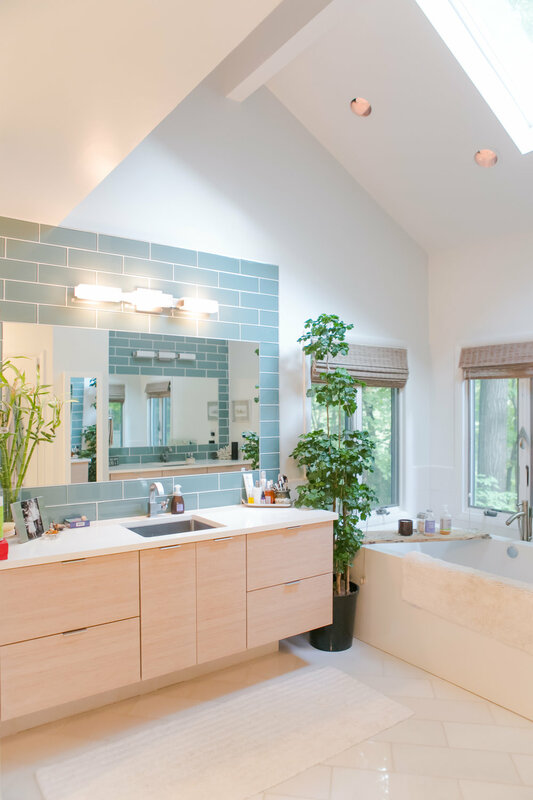 By adding a bedroom and a full bath, the home is now 4 bedrooms, 3 full baths and 2 half baths sitting at just over 5800 square feet. 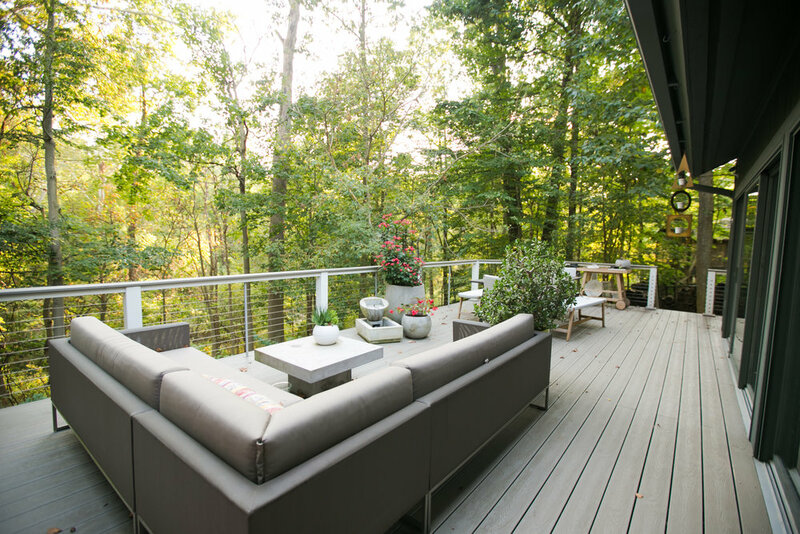 She named this home “The Sanctuary”—such a perfectly fitting name for a home that sits quietly and peacefully on nearly 3 acres. My job is to capture the interiors as beautifully as I possibly can to help tell the story of this home, however, what is interesting about this property is that my photos cannot convey the peaceful nature of the surroundings. The property is surrounded on three sides by parks; Heritage Park to the South, Riverside School/Wapahani Nature Preserve to the North, and a Carmel city park to the West just across the White River. Shull most definitely hit the nail on the head, no pun intended, when she named this home, “The Sanctuary.” My photos do not do it justice in this regard—it will definitely require a visit on your behalf to take it all in! This property will soon be hitting the market, so for more information, please contact REALTOR ®, Joe Shoemaker, directly at 317-413-8501 or joe.shoemaker@encoresir.com anytime. 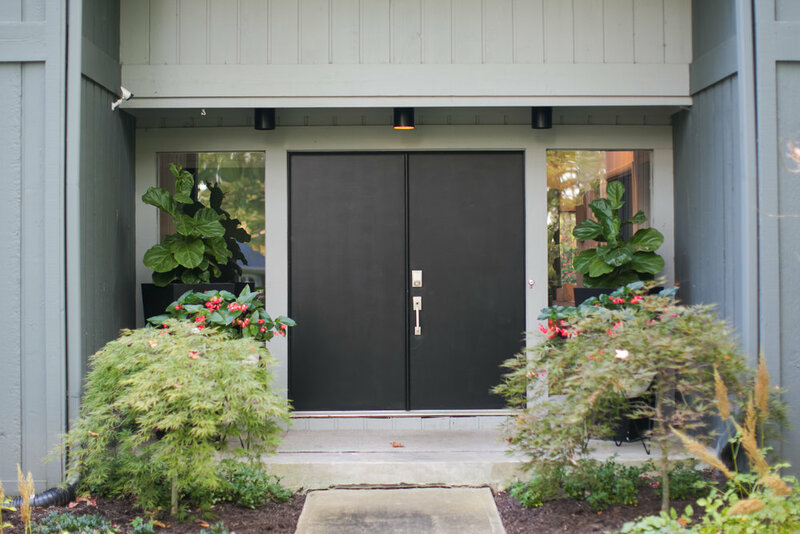 Enjoy more photos of this mid-century modern stunner below!